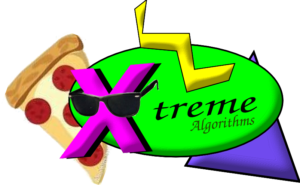 The ASARG group hosts a weekly research seminar each semester called Xtreme Algorithms. This is the best place to see what we’re up to and get involved. The seminar is designed to be inviting for new researchers and curious students. We share talks based on our research, and we have a lot of workshop sessions to push into other areas. Occasionally, there’s even food! Games may also follow. Please come and see if you’d like to get involved. Current Meeting Times: Thursdays at 3:00 p.m., room EIEAB 2.208. 1/23 – Austin Luchsinger will present the talk that he gave at the ACM-SIAM Symposium on Discrete Algorithms (SODA 2019) on January 9th. 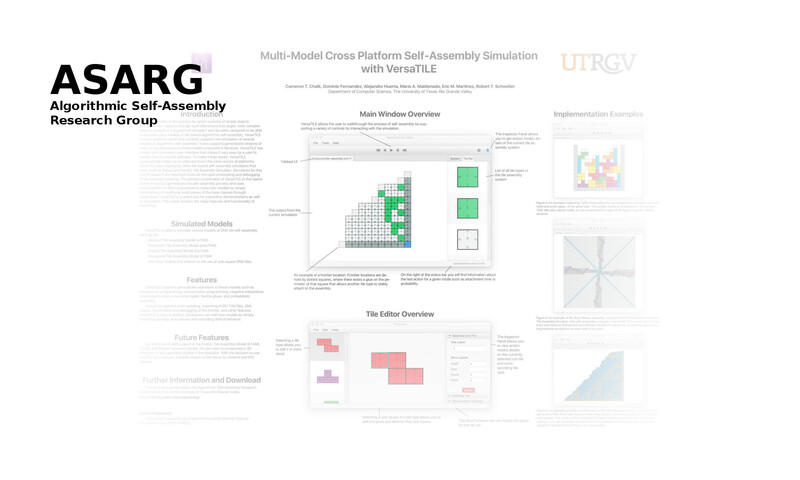 1/31 – Tim Gomez will present an overview of some of the single step complexity results the research group has been working on. 2/7 – Michael Alaniz and Eden Canales will cover some results from a recent paper on sorting polyominoes. The paper is here, and there’s an overview video here as well. 2/14 – Michael and Eden continue the discussion of sorting polyominoes. 2/21 – Open problem posing session. 3/7 – Here are links to the papers the group will be presenting at the next Xtreme Algorithms meeting. paper1, paper2. 3/21 – A special presentation by Dr. Ken Schweller on his work related to interactive and virtual world simulations with Bonobos. 9/20 – Austin on game complexity results for Nonads from a recent conference. 10/4 – Bryan Guerra and Angel Cantu discuss pattern building in full-tilt with k colors. 10/11 – Austin on showing Tile Automata with sticky transition rules can simulate general Tile Automata. 10/18 – Austin presenting some biologically and privacy motivated self-assembly research about covert computation. 10/25 – Angel presenting some work in the step model. 11/1 – A workshop day based on logic and arithmetic in the full tilt model. 11/8 – Austin covering Becker’s universal constructor in the single step tilt model. 11/15 – Some ideas related to replication and other student projects. 11/22 – Thanksgiving! no meeting. 11/29 – Open problems for Hack Research. 12/6 – Last meeting of the semester. Games!